"Building mobile apps that will playback the sounds in a handier way"
Development of interfaces and applications meeting the current requirements, both in terms of ergonomics and design and in terms of reliability and performance (UI, UX) is a daunting task. 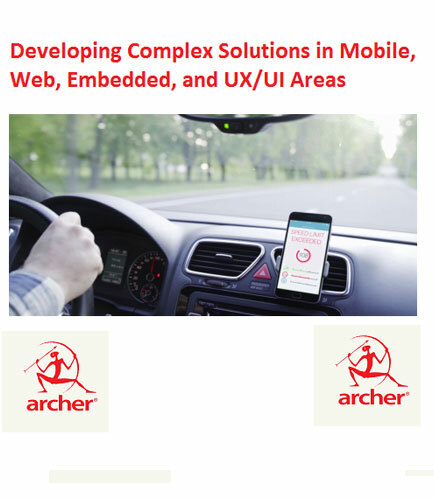 This whitepaper focuses on automotive space demonstrating a wide range of software development edges: building Telematics and ADAS systems, helping clients creating prototypes, creating retail and infotainment apps. Web 2.0 is a collection of World Wide Web pages that emphasizes user generated content, and interoperability for end users. The term ‘Web 2.0’ actually refers to the current version of online technology compared with earlier version, characterized by greater user interactivity and collaboration, extensive network connectivity, and advanced communication channels.